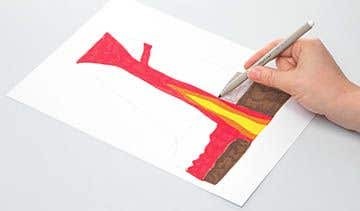 Show children the inner workings of a volcano, and help them create their own papercraft lava explosion! Using the template provided and two pieces of white A4 card, trace the shape onto a card and cut out so you have two pieces. Lay the shape out so they mirror each other - this is important as it’s how they will fit together and open up when the project is complete, as you can see from our pictures. 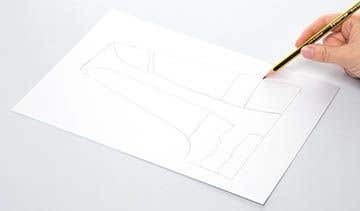 Now, take the first shape and draw on the inner structure, using pencil and our picture as a guide. Repeat for the second card piece but make sure the inner structure mirrors that of the one on the first piece of card so that when the pieces are affixed together at the spine and open and close like a greeting card, the inner structure inside will match up. Now colour the inner structure. Start with the lava chamber - draw on the yellow and orange sections of the flame in colouring pen, as shown, then colour the rest, all the way to the top [the crater] in red pen. Next colour the brown and grey sections at the bottom, which represent the breakdown of the earth beneath the outer structure of the volcano. Draw diagonal lines on each side of the lava, as shown, then colour them in alternating between brown and orange. Repeat for both pieces of card. Then flip the card over so you are looking at the outside. This will represent the part of the volcano that we see. Colour the base of the volcano in green - start with a green pencil that colour roughly in a cross hatch style over the top with pen to create the appearance of textured grass. Next, colour the volcano itself in brown and grey, as shown. Repeat for both pieces of card. Next cut strands of red ribbon so they are long enough to match the length of the lava from above the orange/yellow fiery section and come up and over the outer volcano. Glue them in place above the yellow/orange section using a glue gun or glue dots. Leave the ribbon above the crater [the ribbon that comes up and over the volcano] loose. Add pipe cleaners, as shown, fixing them inside to the lava but leaving the top three-quarters free to be bent down the side of the volcano when it’s closed. Match the volcano pieces together so the insides line up and the outsides are facing outwards, then punch two holes in the left-hand border [the ‘spine’ of the fold out volcano]. 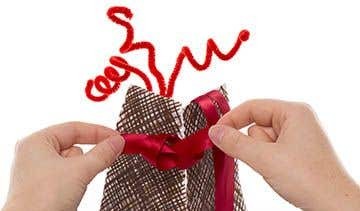 Affix the volcano with brown or red ribbon, tied in a double knot. 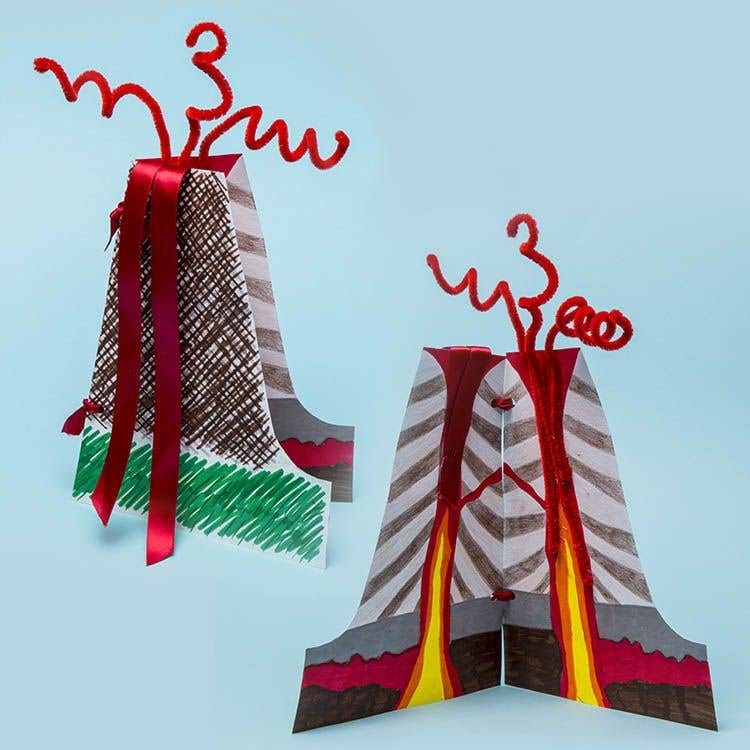 When your volcano is closed or dormant you can tuck the loose pipe cleaners and ribbon ends inside, then bring them out to ‘erupt’ over the top/sides when the volcano is active.